With the 35th America’s Cup on the Bermudian horizon, the National Maritime Museum in Greenwich, UK has launched an exhibition featuring Land Rover BAR’s quest: Britain’s Challenge for the America’s Cup. This brand new exhibition, which offers free entry, will provide insight into the intricacies of the racing, along with the preparation needed to challenge for the oldest trophy in international sport. Despite its name, the Cup was crafted in London and first raced for around the Isle of Wight, but a British yacht has never actually won it. 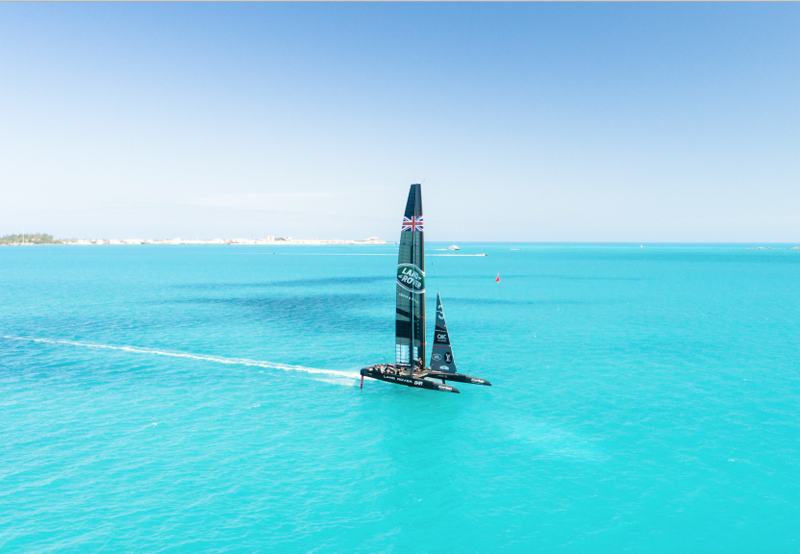 Britain’s Challenge for the America’s Cup will include some of the exhibits that already feature in the Tech Deck and Education Centre at the home of Land Rover BAR in Portsmouth. There will be a replica scale model of the team’s boat, unique behind-the-scenes experiences and hands-on interactive games that recreate the challenges that face the team. The exhibition will give visitors the chance to get closer to the boat, the sailors and the technology that enables the team to fly above the water.